We Know the Durham Real Estate Market. Durham is a unique and diverse area. Each neighborhood, community, and subdivision has its own unique identity, leaving it up to us as professional home sellers to highlight what your home, and its location, has to offer prospective home buyers. 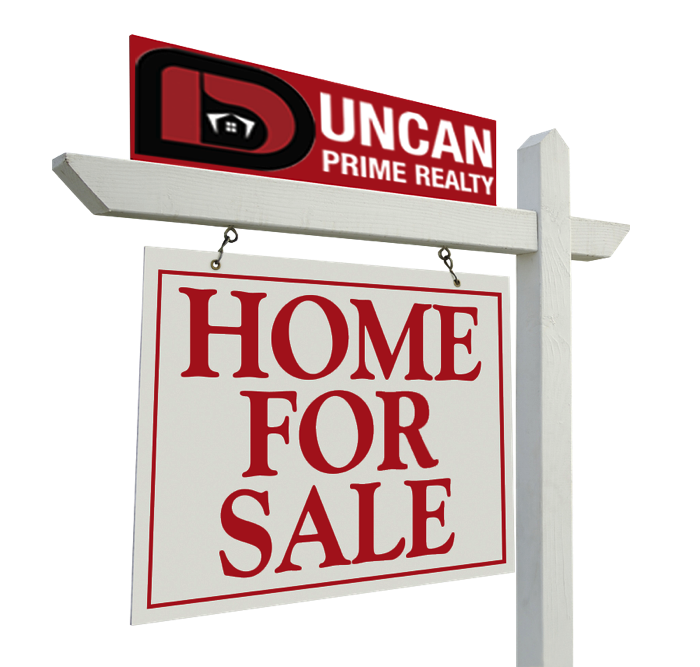 Furthermore, in order to obtain the highest possible sales price for your home, we’ll also exhaust every resource and marketing opportunity available, proving to each and every one of our client's that there’s truly nobody better to have on your side during the home selling process than Duncan Prime Realty. Choosing to sell your home is just as much of a financial decision as it is a lifestyle one. Getting the most amount of money in the least amount of time tends to be the number one priority for most home sellers, and finding someone to meet and exceed those expectations is usually the number one challenge. At Duncan Prime Realty, we understand that completely, which automatically gives us a one-up over much of our compeition. Along with this, we also believe we have to earn your trust and show you why we're the perfect fit to guide you through the home or condo selling process, which is why we'd love to sit down with you to discuss all your needs, wants, and goals as a possible home seller. So let's schedule a causal, no-obligation sit-down to see if we're a good fit! Once it's established we're perfect for the job of selling your property, we'll get to work immediately. This means doing a full evaluation of your home, possibly suggesting staging options and/or minor repairs and improvements, and also conducting a full market analysis. After analyzing other comparable properties in the Durham and surrounding Triangle region, looking at past home sales, and factoring in all of your home’s unique and individual characteristics, we’ll devise a pricing strategy that will be both aggressive and accurate based on today’s current housing landscape. Unfortunately for both you and for us, your home isn't going to sell itself. It's up to us to appropriately market your home and target an audience who is most likely to be interested in your specific property. Lucky for you, however, this is where we thrive. Our internet marketing is second-to-none, and we'll also explore other traditional forms of marketing as well, ensuring we don't miss an opportunity at finding the right buyer. That much we can promise you! Thanks to our experience, professionalism, and knowlegde of the Durham real estate market, we're beyond confident we'll find you a buyer. And when that time comes, it'll also be up to us to GET THE DEAL DONE! Along with a superior marketing ability, our negotiating skills have also been fine-tuned over the years, allowing us to always get our clients the best price we possibly can!